Try Zero-G is an in-orbit educational program on the ISS organized by the member agencies of the Kibo-ABC, an initiative under the Asia-Pacific Regional Space Agency Forum (APRSAF). 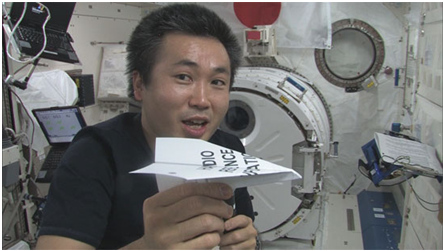 Kibo-ABC invited proposals for Try Zero-G 2014, which is expected to be performed by JAXA astronaut Koichi Wakata by no later than early March, 2014. Total of 45 proposals targeted at visualizing various phenomena specific to zero-gravity or weightlessness conditions were submitted from 5 countries. The proposals were first examined for the technical feasibility by JAXA experts, followed by the educational evaluation by the selection committee. The committee comprised of Kibo-ABC member agency representatives and scientists, and they selected the following three subjects as candidate themes. There were many similar proposals targeted at solving weight and mass problems using solid objects and springs or rubber bands. JAXA experts will consolidate these subjects into one back-up theme.